If you’ve never heard of the term “omnichannel”, it’s time for you to sit up and take notice. It’s one of the trends that has been picked up on the radar of huge companies such as Salesforce and Zendesk, becoming part of decks of consultants like McKinsey, and and being practiced by social channels like Twitter. The reason behind omnichannel engagement stems from the exploding numbers and types of devices, and channels, available to customers to reach and interact with brands and businesses. When these channels become available, customer expect companies to honor their commitment to those channels by actually engaging with them extensively on them, no matter what the causes are. Read on to learn more about what omnichannel engagement is about, why it’s important to you, and how you can capitalize on it to improve customer satisfaction and employee happiness. Omnichannel engagement is about providing consistent experiences to customers and stakeholders across the whole gamut of possible mediums they could reach your business on. Interactions with someone at a company is probably one of the most personal and value-creating touchpoints for a customer; frustrations or inconsistency among the different channels will potentially turn these touchpoints into ones that generate dissatisfaction instead of higher customer equity. As such, it’s extremely important for you to understand each channel your customer reaches you on, and how to keep it a pleasant experience every time. If you think about your own business, what are some of the efforts that have been put in place to help everyone on your team respond consistently to customers? Have you conducted training sessions, set up priority lists, created a task force, and empowered your team with the right replies? Having these channels doesn’t only impact operations and customer service. It also impacts your marketing and branding, sales, finance, and human resource allocations, among other things. Think about the potential of turning each of these touchpoints into a brand experience for the customer; about how you could upsell your other products based on channels; how you need to now hire “social media managers” on your team… The impacts are big, and you need to consider all of them as a whole when evaluating how your business is going to thrive in this era. When we talk about engagement, it’s not necessarily pointing only to sales. Sales for your company can only come when you provide enough value to customers. Back in Marketing 101, you may have heard of the 4Ps – Your Product, Place, Promotion elements need to be in place and providing value before you can even think about Price and how to get back the value as a company from customers. For many companies, omnichannel engagement may well be integrated into the product (for example, you have an app on phone, tablet and site), the distribution (you try to sell in multiple channels like social and other ecommerce deal stores), and promotions (blasting your ad on offline and online media). Now, it’s even more critical that you have all these channels at hand because it’s highly likely that your customers will vet you across various channels before finally deciding to choose you. So if you think about it, unless you’re offering enough value such that people want to pay you for it, you can’t be pushing purely for profit anymore – because people will find out. And while you’re there, you’d best be providing great customer service and support – because since you can sell them on those channels, you better be willing to help them there too. The buzzwords of our time are probably all in the point you just read above (other than artificial intelligence, a topic for another day). However, they are trends for a reason, and you need to be aware of them as they progress into more mature consumer-ready technologies. Chat is already pervasive among consumers, riding on the coattails of the mobile trend. Most likely, you’re reading this on mobile while chatting with your friends on one of the nine chat apps on your phone. With chat apps being the most used, highest-engagement apps in customers’ lives, be prepared to engage them where they already live. In countries like China, where channels such as WeChat and QQ are prevalent among vocal consumers, it’s become necessary for companies to hang around on those channels to handle service and sales queries around the clock. Looking at ecommerce players like Qoo10 and Taobao, you’ll also find that chat has become indispensable in the transaction process. Wearables, as popularized by watches like Apple Watch and Pebble, as well as fitness trackers like FitBit, are also becoming part of consumers’ daily lives. Notifications and interactions have become even more personal and private, which means that you can either be closer to the customer, or alienated from their digital life. IoT (shortened from Internet of Things) follows as connected devices (many that are linked to interfaces on wearables and mobile) that may also send you configuration logs and help messages, to which you then must have even more of a plan to figure out how exactly to address them, and attribute them to a single customer. From the point of your team, it is also important to understand that all of these new channels and trends can be confusing. With so many more channels to monitor, it will get more chaotic and tiring to manage. Without the proper training and empowerment, you could be leaving your team to simmer in increasing unhappiness as they struggle to deal with new channel responsibilities without centralized repositories of responses or visibility into how others in the team are responding. Workforces are becoming even more mobile these days, with distributed teams and telecommuting becoming more common over time. Not only could this save traveling time, it could increase productivity by reducing interruptions to the day and allowing team members to work whenever they are at their best. The BYOD (Bring Your Own Device) trend also means that teams are now responsible for their own use of phones and other devices, and could herald a true 24/7 connected workforce – hence making omnichannel, always-on communications even more essential for businesses. The most important thing about being omnichannel is that your customers now expect it from you. As summary of all the points listed above, we can conclude that because you have all these channels set up and are, perhaps, selling through them already, you will need to have a certain presence in servicing and supporting customers in these channels. Customers don’t see channels as channels in themselves – hence the experience needs to be seamless across all of them. When you have an issue, for example, do you think of “X Company’s Twitter” as different from “X Company’s email”? Rather unlikely – you would see them as “X Company”, and you will judge them based on how responsive, comprehensive and consistent they are as they respond to you. If you already expect this from the companies that you buy from or do business with, then you need to understand that your customers expect likewise from your business. All of these demands and trends may sound daunting, but recognize that they are there as part of your life as well. You may talk to different people on different platforms, and post different updates on different social channels. 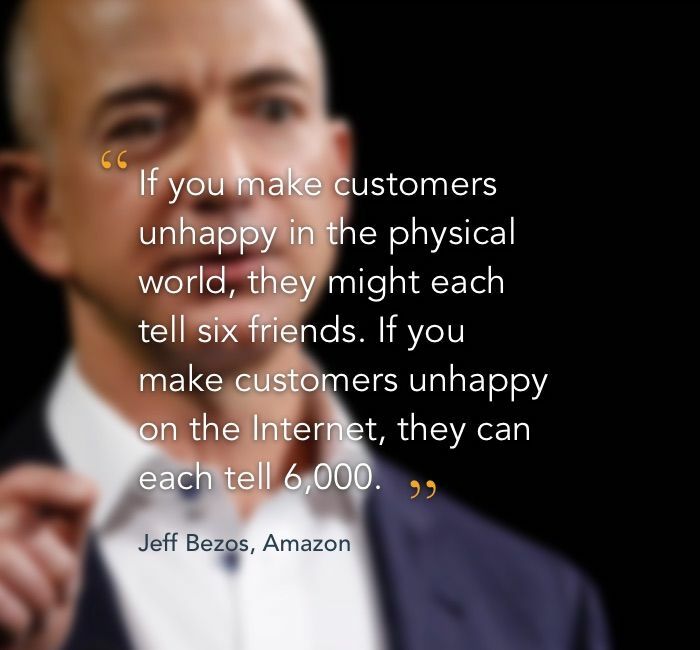 Treat customers as people – they are human, just as our friends are. While lines may blur across channels, that’s probably because you should be seeing them as a whole and not just as separate channels. Omnichannel engagement is simply a way of thinking about your engagement in an ecosystem of channels that support your business strategy and customer needs. By taking the first step to recognize, detail and understand the big picture of all these channels in concert, you will be able to then strategize what needs to be done to move your business forward in this day and age. KeyReply was created to help teams like yours respond faster & better, by creating and maintaining a central team repository of replies that can be used on your mobile keyboard on every channel (chat, mail, message – you name it). That way, your team members will be able to access and visualize how others are using the replies, and quickly get started on replying too. The consistency across all channels will increase customer satisfaction and employee happiness over time.